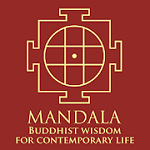 Petaling Jaya, Malaysia -- The resuscitation of Nalanda University have recently been questioned by Buddhist groups from South and North East Asia. The biggest lament was that no Buddhist monks have been elected to its board. Unlike the Nalanda U of old, where eminent Buddhist scholar monks were the rectors, governors in the proposed new set up contains an overwhelming majority with 'secular' credentials. Fueling the concern coming from the make up of the academic board, it has been revealed that "the new Nalanda International University will focus on the humanities, economics and management, Asian integration, sustainable development and oriental languages" (BBC report, May 28, 2013). The objective of the school was claimed to be "aimed at advancing the concept of an Asian community...and rediscovering old relationships". ...virtually the entire range of world knowledge then available. Courses were drawn from every field of learning, Buddhist and Hindu, sacred and secular (Para and Apara Vidyas as they are known in Sanskrit), foreign and native. Study of Sanskrit grammar was compulsory. In addition, there were five more compulsory subjects which included: Shabda Vidya (Science of sounds and words; otherwise called Grammar and Lexicography); Shilpasthana Vidya (Arts and Crafts); Chikitsa Vidya (Science of Medicine); Hetu Vidya (Logic), and Adhyatma Vidya (Philosophy). At first glance, it would seem that it's hallowed name has been borrowed to entice funders to rebuild a fabled campus. In fact, it is far easier to criticize the absence of Buddhist personalities on its board and for its lack of Buddhist centered values and philosophy. What is truly tragic, however is the revivalist's lack of vision and courage. They totally missed the core philosophy and ingenuity of the original Nalanda. A reported US$ 1 billion has been committed by its funders (New York Times, December 9, 2006), a consortium led by Singapore, including China, India, Japan and other nations. US$ 500 million will be used to build the new university and another US$ 500 million to develop necessary infrastructure. With that kind of money committed, surely the Governors would have set a more lofty course for the new Nalanda? Eight centuries ago, the university located in Patna attracted scholars and students from as far away as Tibet, China, Greece, and Persia. With esoteric Buddhist philosophy and teachings at its core, its rapid development from the 6th century to the 9th was dominated by the liberal cultural traditions inherited from the Gupta age. In its heyday, it accommodated over 10,000 students and 2,000 teachers. Chinese pilgrims estimated the students between 3,000 and 5,000. Four doxographies (Tibetan: grub-mtha’) - a term used for the works of classical historians, describing the points of view of past philosophers and scientists - were taught here. Alexander Berzin specifies these as Sarvāstivāda Vaibhāṣika, Sarvāstivāda Sautrāntika, Mādhyamaka, the Mahāyāna philosophy of Nāgārjuna and Cittamatra, the Mahāyāna philosophy of Asaṅga and Vasubandhu. Imagine a period where Europe did not yet have any universities (the first, University of Bologna was established only in 1088 AD), Nalanda with its eight separate compounds and ten temples encompassing an area of 14 hectares was monumentally ahead of its time. It's library, called the Dharmaganja, or Piety Mart, contained three large buildings. One of it, the Ratnasagara, meaning the Ocean of Gems, was a nine stories high tower and housed sacred manuscripts such as the Prajnaparamita Sutra and the Guhyasamāja Tantra (Sanskrit; Tantra of the Secret Community). It is inside these walls that much of Tibetan Buddhism as we know it, both its Mahayana and Vajrayana traditions, stems from the late 9th-12th century Nalanda teachers and scholars. Other forms of Buddhism, such as Mahāyāna Buddhism followed in Vietnam, China, Korea and Japan, flourished from the scholarly endeavor of this university. Students like the famed pilgrim Xuanzang, studied here and subsequently worked as a teacher at the University and spent about 6 years there. When he returned to China, he carried back with him 657 volumes of sacred Sanskrit texts and spent the last years of his life translating and interpreting them. Nalanda became the synthesis and fusion center where new ideas of Buddhist psychology and philosophy were debated, coded and classified. The academic efforts of scholarly monks became the seeds which germinated Buddhism into forms palatable to adherence of the religion not from the Indian sub-continent. It is here - through inter-disciplinary study, practice (of meditation) and translation - that Buddhism became a global religion. Nalanda’s aim was to create the most intellectually and spiritually mature individuals who would become qualified to contribute to every aspect of society for its overall being. To its custodians and teachers, ideal education means a happy and harmonious blend of philosophy and religion. The pervasive notion at Nalanda was that education was not merely the conveyance of information but the transmission of spiritual, moral, intellectual and aesthetic values combined with the opportunity for full physical development. If Nalanda were to claim back its glory, it needs to be 'monumentally ahead' of its time, just like its predecessor. More importantly, it needs Buddhist teachings and ideals as its core identity to drive its sense of purpose. Why submit a famous academy to mundane courses (where it has to compete with numerous and better endowed institutions) when it has the chance to explore an ancient teaching so radically ahead of its time and create undreamed of synthesis using tools of modern science? At an age where information science and mind studies are flourishing, Buddhism is at the stage where its ideas, philosophy and tenets can play a major influence in all spheres of scholarly development. Thanks in part to the internet and free flow of thoughts and ideas, this era provides a similar - or even more - liberal cultural traditions inherent in the Gupta era. 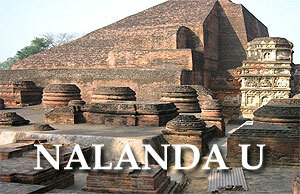 How different could the new Nalanda U be? Here are some ideas worth exploring. The original Nalanda had medicine as one of its compulsory subject. The new Nalanda curriculum should consider accommodating the vast trove of Asian traditional medical systems which encompasses synthesis of indigenous Tibetan, Indian (Ayurveda), Chinese, Persian (Unani), and Greek. It could use the template as derived from the Tibetan medical system, which embraces the traditional Buddhist belief that all illness ultimately results from the three poisons of the mind: ignorance, attachment and aversion. Tibetan medicine follows the Buddha's Four Noble Truths which apply medical diagnostic logic to suffering. By synthesizing traditional medicine with modern medical research, this faculty could become a cutting edge pharmaceutical and medical research institute. The scientific study of the brain and the nervous system has increased significantly, principally due to advances in molecular biology, electrophysiology, and computational neuroscience. Neuroscience has grown in tandem with Buddhist meditation, and many new research (collaborations between scientists and meditators) have produced new evidence on how our brains work, how thoughts arise, how consciousness works. And in the concept of non-self (anatta), neuroscience is starting to publish theories and evidence that there is no self to be had, no central driver to speak of, no unchanging internal self that made all the decisions. Indeed, when results become more accomplished, the field of neuroscience can be an important allied health discipline, collaborating with other fields such as chemistry, computer science, engineering, linguistics, mathematics, medicine, philosophy, physics, and psychology. 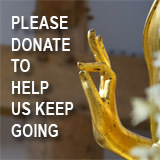 Continued in-depth research and studies in Buddhist meditation will see to the flourishing of this field. The Madhyamika philosophers developed a rigorous and razor sharp method of philosophical analysis which, together with meditation investigation, penetrated into the ultimate nature of reality. Emptiness (sunyata), the core view which is propounded by the Madhyamaka, is the insight that there is nothing in the universe which exists as an independent entity in its own right. It follows that nothing exists as a fully independent feature of reality as was always thought by Western science up until the advent of quantum physics. Indeed, an understanding of emptiness can throw new perspectives onto problems of quantum interpretation. Both Buddhism and quantum mechanics illustrate that the universe is not what he or she perceives it to be with their five senses, and that everything is connected in some way. A serious and rigorous analysis of the "physics" paradigm in Buddhist thought has been long in coming. The formulation of discourses between modern quantum mechanics with certain aspects of Indo-Tibetan Buddhist methodology, such as the elementary assertions of "particle physics", will spearhead new form of synthesis. Who knows, apart form finding answers to big questions such as "what is the universe" and "what is self", students may stumble upon practical by-products which may find useful applications, such as instantaneous communication, quantum teleportation, quantum computers, energy harvesters and quantum tunneling. The Buddhist tipitaka contains an immensely rich lexicon of mind training, philosophical teachings and psychological discourses. Nevertheless, much of it are inaccessible to common people due to the difficulty in deciphering its meaning. The science of informatics can play a role in developing digital sources and tools using artificial intelligence and smart algorithms, so that meaningful searches can be processed by users according to their level of understanding. To be practical and useful however, such a system needs to adhere to international standards for information exchange and search results must be freely accessible to the public. Apart from that, Nalanda can offer advanced courses in computer modeling, with emphasis on researching nano technology. Tools developed here can be used to aid research in neuroscience and quantum mechanics. The innate classification of Buddhist knowledge fits nicely into the algorithmic nature of computer science, and this combination would make this to be an important department providing anchoring services to all other faculties. Poverty and endangered health due to lack of clean drinking water and sanitation is a major problem in this world. If any courses were to be moved by the teachings of loving-kindness and compassion, this area would be it. Energy and attention should focus on areas of research in organic protein production, cheap processing of nutritional vegetarian meals, genetically modified foods (vegetarian variety) and membrane technology for clean water filtering. Cross experiments in Asian vegetarian cuisines, from Korean to Chinese, Indian, Sinhalese and Thai foods may yield interesting fusion. What's important that such research will have to be made under the guidance of 'ahimsa' (non-violence), and to keep with the first precept of respecting and non-harming of sentient life. As research goes into ground breaking areas, stake holders and interest groups will be concerned on ethical lines that can potentially be crossed. This is where a faculty for the study of bioethics could be adjunct to other fields of research. Keeping in line with the principles of non-violence (ahimsa), loving-kindness (metta) and compassion (karuna), its formulation could encompass a broader meaning such as solidarity towards the biosphere, thus generating a "global ethics," a discipline representing a link between biology, ecology, medicine and human values in order to attain the survival of both human beings and other animal species. Bold visions and creative pursuits combined with Buddhist philosophy, ideas and meditational practices can remake Nalanda University into a beacon of human invention and high civilization. Like its predecessor, having radical thinkers, innovative teachers deeply schooled in Buddhist thoughts will enable it to take on the mantle of cutting edge research in mind studies. It can be an unparalleled institution in this field. At this moment, it is reported that the current setup has only attracted a commitment of about US$ 100 million, which is far from its targeted sum of US$ 1 billion. Apart from politicking and a general lack of trust in the board of governors ability to revive the university's famous name, perhaps poor foresightedness and a lack of deep appreciation of Buddhist values are more to be at blame for the lack of support. The die is not yet cast. But if the governors are open minded enough and seek the participation of great living Buddhist minds such as the Dalai Lama, Goenka, Thich Nhat Hahn, Bhikkhu Bodhi, Ajahn Brahm, Thanissaro Bhikkhu, Jack Kornfield, Joseph Goldstein, Robert Thurman, Ven Cheng Yen, the promise of Nalanda U as a global learning and research center could well be realized.